Update: This offer for Capital One® Venture® Rewards Credit Card has expired. Learn more about the current offers here. Capital One set the miles and points world ablaze this week with the announcement of a new flexible points program that will take effect in early December. Rather than the 1:1 transfers that are the industry standard in the U.S., transfers will process at a 2:1.5 ratio (or 1,000:750). However, since the Capital One Venture and the Capital One® Spark® Miles for Business both earn 2X Venture miles on all purchases, this effectively means that both cards earn 1.5X airline miles per dollar. If you’re thinking this sounds a bit like the Chase Freedom Unlimited®, you’re not alone. Unlike the Freedom Unlimited however, you don’t have to pair these cards with another card to be able to transfer to loyalty programs, so the Spark Miles and Venture can be standalone cards. While the transfer ratio could be better, Capital One has put together a decent set of transfer partners — many of which overlap with Citi ThankYou Points and/or American Express Membership Rewards. As with just about any flexible points program, some partners are going to be more useful than others and Capital One is no exception. With that in mind, I wanted to share some initial thoughts on the partners I think will be broadly useful. You’ll also find that surcharges on LOT are reasonable compared to some other partners such as Austrian Airlines and Lufthansa. If you book a round-trip award, you’ll also be able to include 2 stopovers or 1 stopover and 1 open jaw on an international award. While the stopover policy is a big plus, it’s actually only my second favorite aspect of the program. Being able to piece together award segment by segment can make booking so much easier compared to United which restricts you to whatever results the online search shows you. Until now, Aeroplan only partnered with Amex so I’m happy to see we’ll have another avenue to earn more miles thanks to Capital One. If you’re a bank, there’s a pretty good chance Flying Blue is happy to partner with you. Capital One is now the fourth bank — after Amex, Chase and Citi — to partner with Flying Blue. Honestly, there’s no excuse to not have access to Flying Blue miles when you need them. While Flying Blue ditched its more traditional region-based award program in favor of one that prices awards based on individual origin/destination pairs, there are still some fun ways to book awards with the program. My mind always goes straight to one-way business class awards on Air France, KLM or SkyTeam partners to Tel Aviv (TLV) for 53,000 miles. Just keep an eye on the taxes/fees so you aren’t surprised by the surcharges Flying Blue will pass onto you. It seems like just yesterday Avianca entered the flexible points world by partnering with Citi ThankYou. Well, things have certainly changed quite a bit since then. 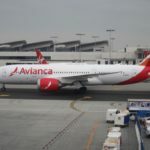 Just a few days ago, Avianca partnered with Amex Membership Rewards and now it’s going to partner with Capital One as well. In the span of just over a year, Avianca has now partnered with 3 banks — Chase must be feeling pretty left out at this point. If you’re looking for competitive Star Alliance award rates and don’t want to be on the hook for surcharges, Avianca LifeMiles might become a go-to program for you. Of course, their online search doesn’t always show the same availability as other Star Alliance partners and their call centers can be entirely unhelpful. 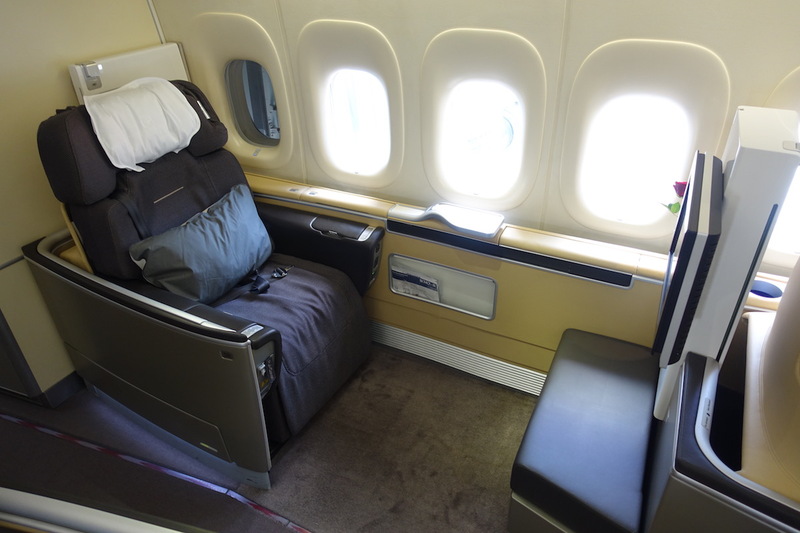 Still, if you can find Lufthansa first class space, using 87,000 LifeMiles is a pretty nice way to book. Like Flying Blue, Asia Miles reconfigured its program earlier this year. While it removed the ability to book round-trip awards at reduced rates (relative to one-way awards), there are still some fun opportunities to book awards with stopovers. 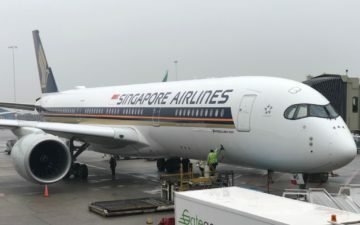 I particularly like the ability to use 85,000 Asia Miles to book a one-way business class award on Cathay Pacific from the U.S. to many Asian cities, the Middle East and South Africa with a stopover in Hong Kong. In theory, you could connect to Australia but good luck finding award space. Keep in mind, you’ll have to call Asia Miles to include a stopover and that can get interesting. I’ve spent an hour on hold. So, call them up, make lunch, eat lunch and settle in with Netflix while you wait. If you’re booking an award from Hong Kong (HKG), keep in mind that airlines are now allowed to include surcharges on tickets. Whomp whomp. As a partner of both Citi and Amex, Capital One now provides a great way to supplement your earning when you’re faced with purchases that don’t fall under a bonus category. Ahh, Etihad Guest. It’s certainly not the easiest program thanks to different award charts for each of its partners and itself. Personally, I wouldn’t use Etihad miles to book Etihad flights but there’s some great value with partners. 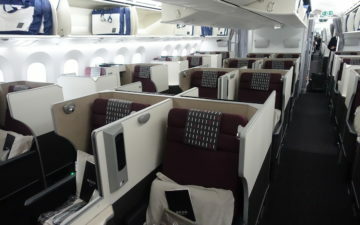 Like Asia Miles, Etihad also partners with Amex and Citi which make earning the necessary miles for awards quite easy. Unlike Asia Miles, I’ve found their hold times to be reasonable and their agents to be quite good at what they do. It’s a good thing they are as you have to call to book all partner awards. Don’t worry, the calls really aren’t that bad. Besides, it’s totally worth being able to take advantage of sweet spots like flying Royal Air Maroc business or economy to Africa, the Middle East or Europe for 44,000 miles or 22,000 miles, respectively. While not all of Capital One’s partner airlines are going to provide a bunch of award booking opportunities, that list is a good start. In addition to the options above, I also want to mention a couple of niche booking opportunities to consider. While Alitalia is a disaster of an airline, MilleMiglia still provides a solid way to upgrade flights across the Atlantic. Sure, you could book awards but you’re going to face some steep surcharges. 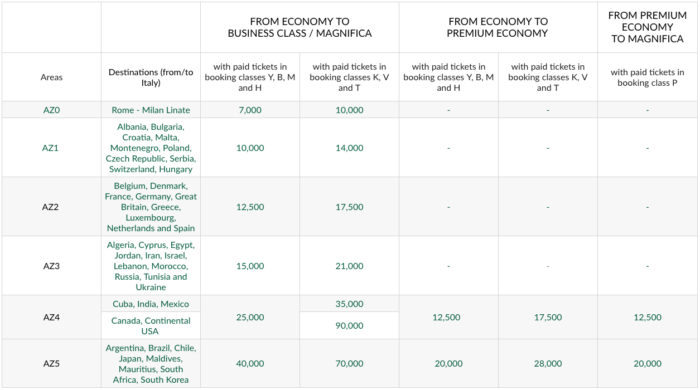 Tiffany has gone into more detail about how to upgrade with Alitalia but the basics are that you can upgrade premium economy fares to business with few restrictions for only about 12,500-15,000 miles. Qantas Frequent Flyer is another program that tacks on some serious surcharges which make other Oneworld programs better options. However, it does have an individual partnership with El Al that could make it useful if you want to visit Israel. For 78,000 Qantas points, you can book El Al business class from New York (JFK) to TLV with no surcharges — that’s a nice change of pace for Qantas. Of course, getting one of these booked might take some effort as you’ll need to call Qantas to have it ticketed over the phone and they won’t hold award space for you. All in all, I look at Capital One as a solid supplimentary option to both Amex Membership Rewards and Citi ThankYou Points. I don’t mean that as a bad thing. Rather, 1.5X miles per dollar on all purchases is solid — though there are bigger opportunities for those willing to use a variety of cards to maximize bonus categories. Amex and Citi both have cards with some great bonus category opportunities which give them a leg up, but the 1.5X miles from the Capital One Venture and the Capital One Spark Miles shouldn’t be dismissed. If you’re a business owner, you might take full advantage of 2X earning with the Blue Business Plus Credit Card from American Express but the cap of $50,000 per calendar year might not be enough for you. With the Spark Miles, you could continue to earn 1.5X once you’ve hit that cap. As with all decisions about cards, it’s about finding what fits your spending habits. With both of these Capital One options, you’ll have a simple way to earn 1.5X miles for a number of useful airline programs and, in the end, there’s nothing wrong with that. What’s your first take on the new Capital One mileage transfer options? A key differentiator compared to the Chase Freedom Unlimited is no Foreign Transaction Fees for the Capital One. For me, it all comes down to transfer times. We don’t know yet if this like the SPG/Marriott setup where you need to wait many days or if the transfers will be instant like Chase/Amex. If it’s the former, I likely won’t get the card. If it’s the latter I likely will. Is this offer/credit card availble in canada? No foreign transaction fees is huge for this card. Unlike the CFU I can use this card here in Australia fee free, getting a better return on Qantas points than most local cards. Adding Alaska at the same rate as the others would make me switch a good chunk of business their way. As it is…meh. @Spencer – Can you get a spark card for your business if you currently hold one? The new sign up bonus is tempting. @ AussieSteve – an excellent point for we Australians. The fact that the RBA have completely destroyed the scheme card industry in Australia due to their ineptitude and conflicts of interest is most infuriating. Citi’s Premier is a great option in that regard as well when visiting home. Some sweet spot redemptions with Turkish. Will pull the trigger on a 100k offer. Why no US based carriers? Chase Freedom rules. @Debit where’s Credit been lately? @Guest the points you earn through that Hotels.com deal are exactly the same as all other Cap One points. So the answer to your question is yes. I use the Hotels.com/Cap One Venture One (the no fee card) to get the 10 points per $ quite a bit since we travel to out of the way places that sometimes don’t have chain hotels. As good as having more niche partners is, I feel like not having any US partners on a US credit card is a big negative.